Rain barrels allow us to harvest rain water for the garden. 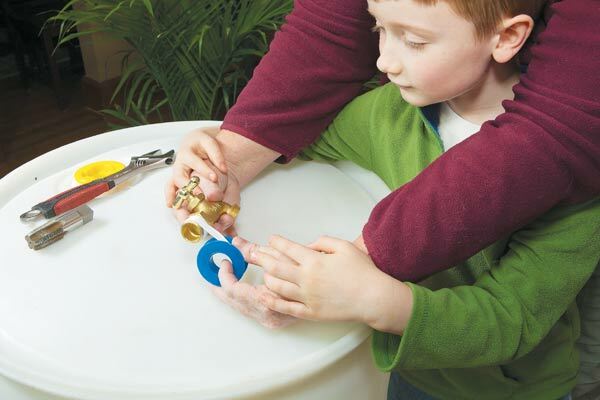 This tutorial has step-by-step instructions for making your own rain barrel with simple parts from the hardware store. For more, also see these DIY garden projects. 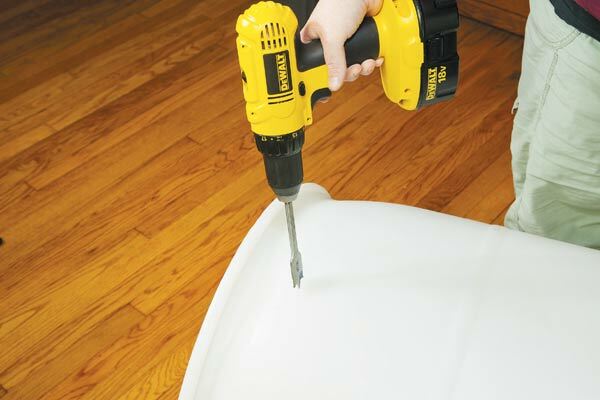 In this tutorial you’ll see how to convert a large, food grade plastic container into a functioning rain barrel with a handy hose faucet. In addition to water conservation, I really prefer using water from a rain barrel because it’s warmer than tap water and doesn’t shock my plants with a blast of cold. Plants are like people: they enjoy a gentle, warm shower. Keep in mind that, in some areas, it is actually illegal to use rain barrels, so please check your local bylaws first. 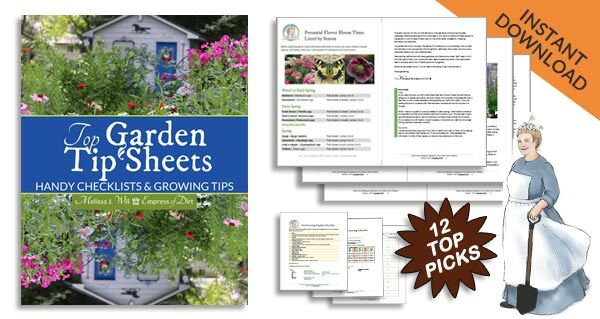 This project is from the book Gardening Lab for Kids by Renata Fossen Brown featuring 52 fun experiments to learn, grow, harvest, make, play, and enjoy your garden. The photos (below) are by Dave Brown. 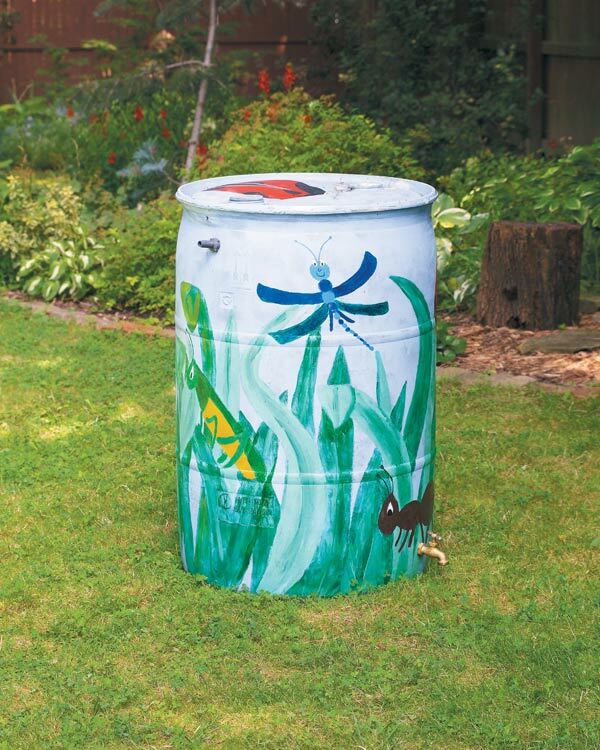 While many of the projects are aimed at encouraging children in the garden, there’s several like this one for adults too. You can see more projects from the book here. Rain barrels are a great way to harvest free water for use in your garden. 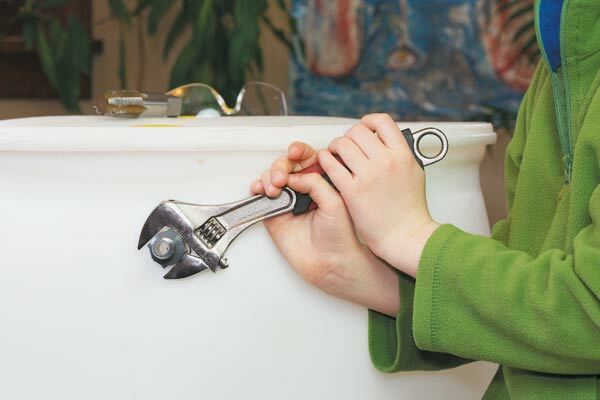 The average gardener can save more than 1,000 gallons (3785 L) of water each summer by installing and using a rain barrel—it saves natural resources and lots of money, too. Imagine all of the new plants you could buy with those savings! 3/4” (2 cm) pipe tap (These are about $25 and can be found at hardware stores. DIY Bug Houses are another great outdoor project idea for kids! 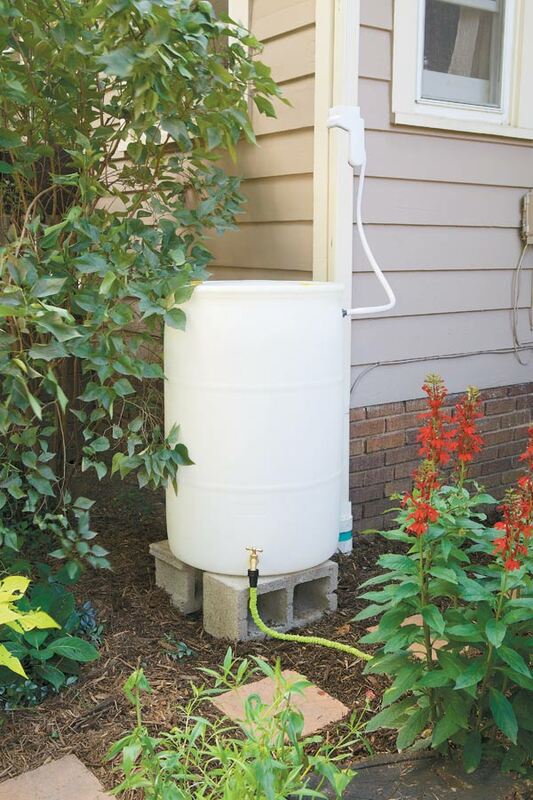 The higher the rain barrel is, the better water pressure you will get. 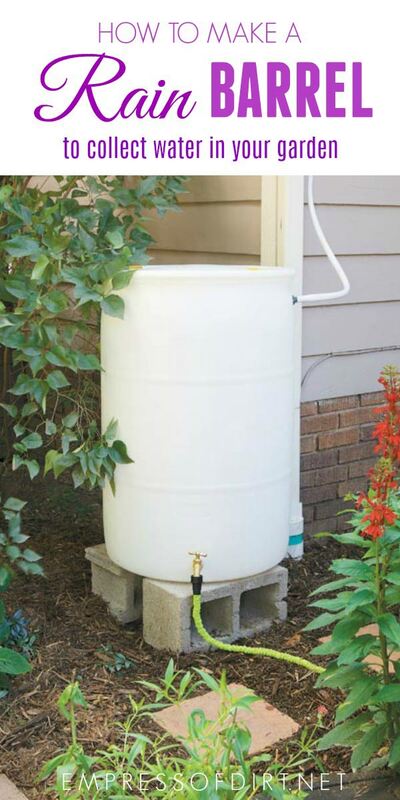 Putting your rain barrel on stable ground and elevated will prevent it from sinking into the ground. A filled barrel weighs more than 400 lbs (181 kg). If the rain barrel is too close to the ground, you won’t be able to fit a watering can under the spout. 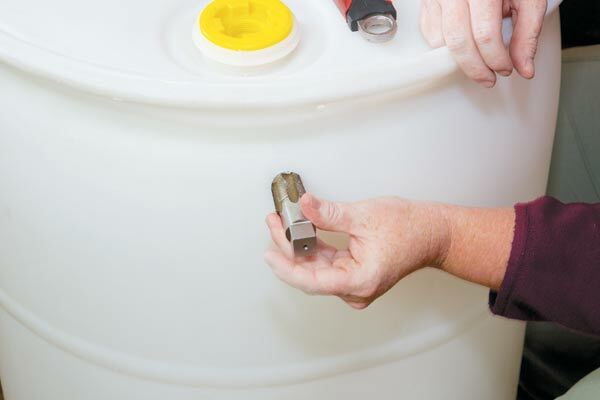 If you live in a climate with winters below freezing, you’ll need to disconnect your rain barrel each fall and store it for the season. This is a good time to empty it and clean it all out so it will be ready for the spring. To further save water, use mulch in your garden to slow water evaporation from the soil and keep your plants nice and happy. 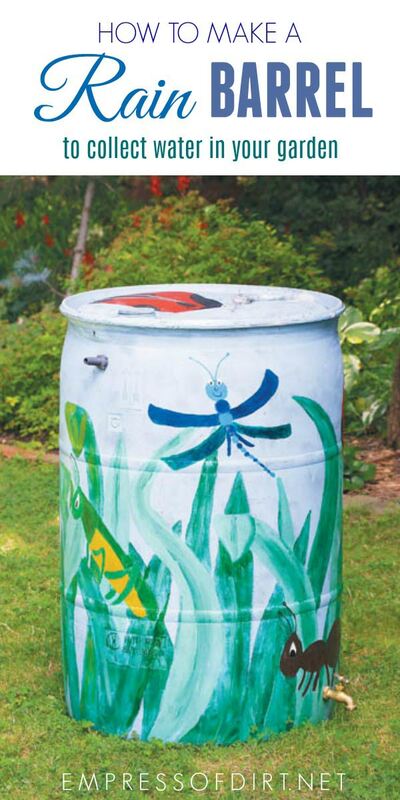 Get artistic with your rain barrel and paint a design on it. Wish there was a print option. If there is one I must have missed it. There is a little green PRINT button a the bottom of the post, just below the ‘You might also like’ section. I have a plain grey composted that would look fantastic decorated up like this.